Leave your teasing comb at the door. Here at All Things Hair, we absolutely love a good classic bouffant and a chic, modern beehive. But they do require a lot of teasing to achieve the look. As great as teasing can be, it can also be time-consuming and even damaging to your hair. But that’s not the only method for adding volume to your hair! 1. Use a volumizing system. One of the easiest ways to add volume to your hair is by using a volumizing shampoo, like Bed Head By TIGI Fully Loaded Massive Shampoo and Conditioning Jelly. It gets your hair super clean and adds volume and body. It’s one of our editor’s favorite shampoo! 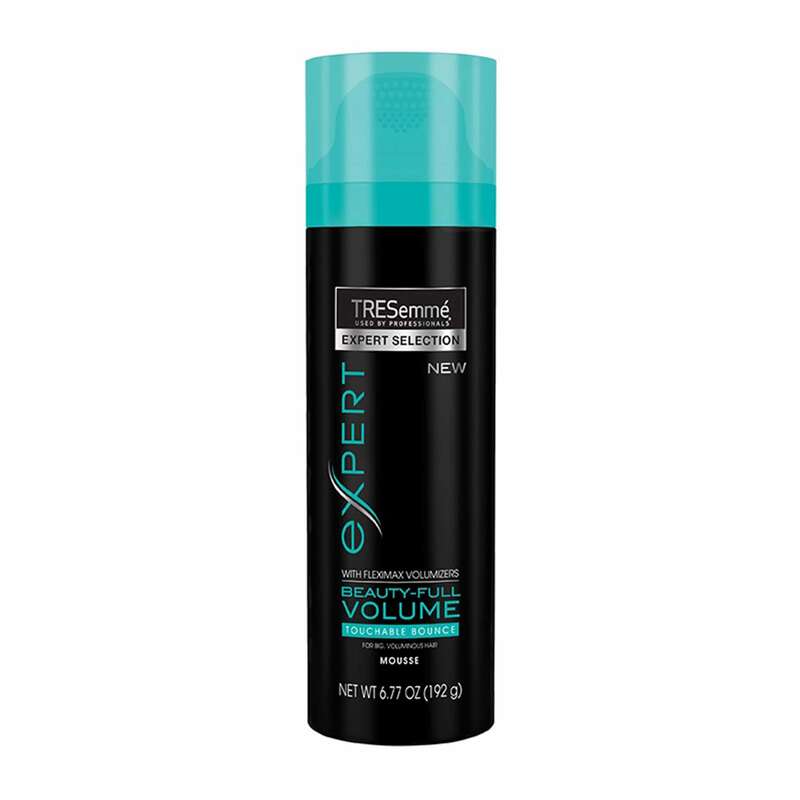 Another easy way to give your hair some lift is to use a volumizing mousse, like TRESemmé Beauty-Full Volume Mousse. Apply this product on your damp hair, placing it on your roots then spreading it down your strands. It helps minimize frizz, static and flyaways as it leaves you with a voluminous and full look. 3. Blow-dry in the opposite direction. You know when you go to the salon and you leave with a perfect voluminous blowout? It’s one of the best feelings ever, right? But when you were closing your eyes and enjoying someone else styling your hair, you may have missed the stylist over-directing your strands. All you need to do to over direct your hair is to blow-dry the roots in the opposite direction of how you would like them to lay. So, if you want to add volume, lift up a certain section of hair and dry the roots from underneath. This is an instant way to achieve volume. Adding volume isn’t all about the roots, though. It’s also about the overall style. If you are creating a bun hairstyle, try a hair donut to add an instant boost of volume. These are super easy to use and most drugstores or beauty supply stores will have different sizes and colors in stock. These products are best used on medium to long hair, as short hair may not be able to completely cover the donut. Add volume to tight braids with the pancake technique. 5. Loosen up your style. You can add volume to braided styles, too! All you need to do is loosen your braid using the pancake technique. 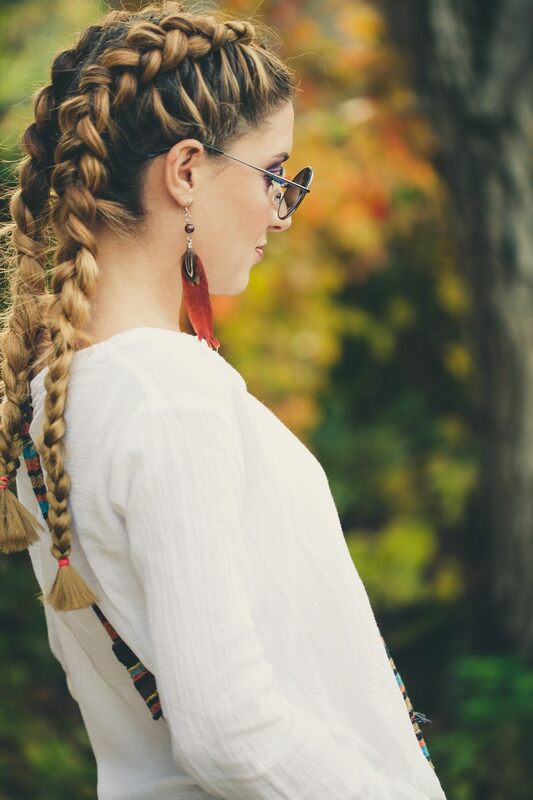 After you’ve created your braided masterpiece, secure the end with a hair tie. Lightly tug on each curve of the braid so the braid will loosen and take up more space. The more you loosen the braid the bigger and lived-in the braid will look. 6. 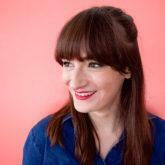 Consider second-day hair helpers. Adding volume on second-day hair may seem impossible without a fresh wash. But it doesn’t have to be if you do these two quick steps! The night before, gather your hair into a loose top knot. This will keep your roots going in an upwards direction while you sleep. This is the best way to keep from getting the second-day hair flop. 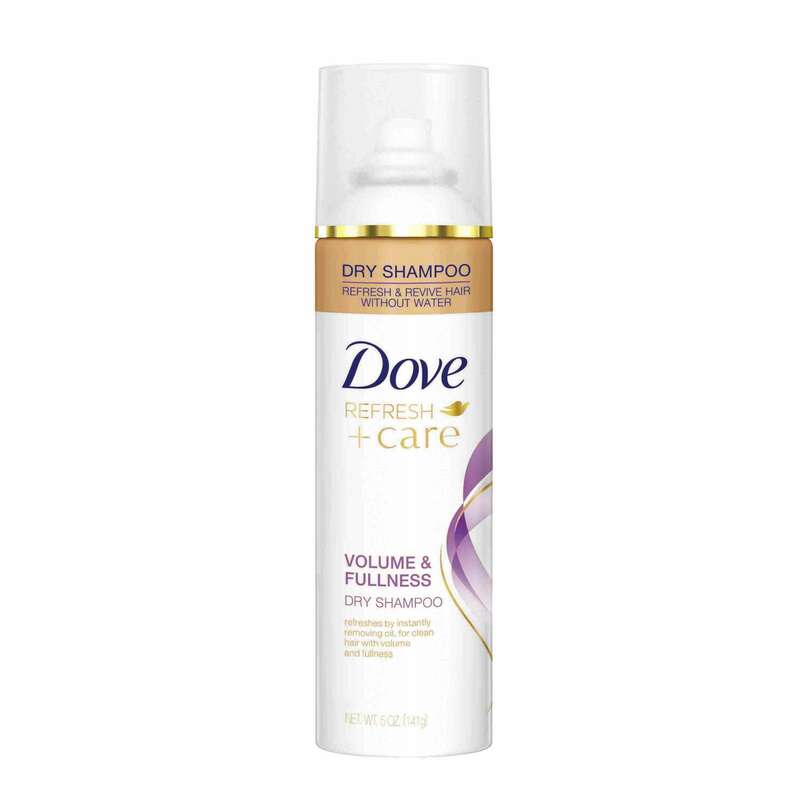 In the morning, refresh and revive your hair with some of the Dove Style+Care Volume and Fullness Dry Shampoo. Are you #TeamTease? Then try this.